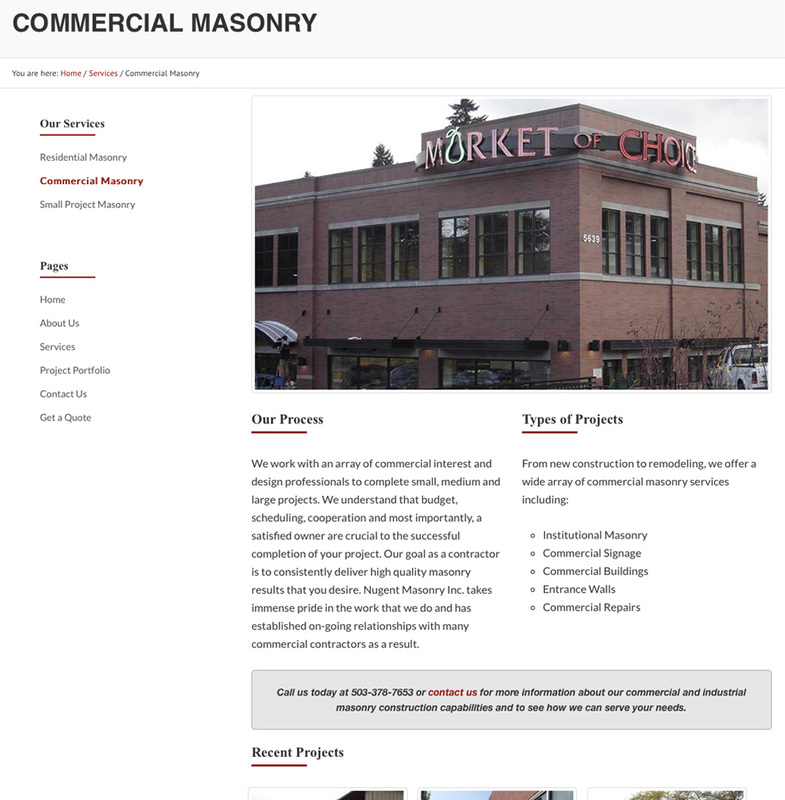 When Nugent Masonry contacted us, they told us that their site needed help. So, like all clients, we sat down and really dug into what that meant. 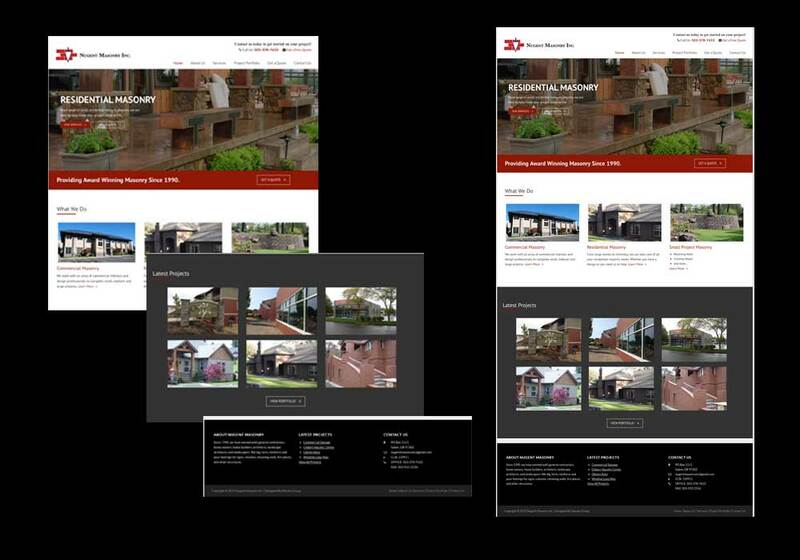 Immediately we came to the conclusion that there work was visual and needed to be highlighted throughout the site. 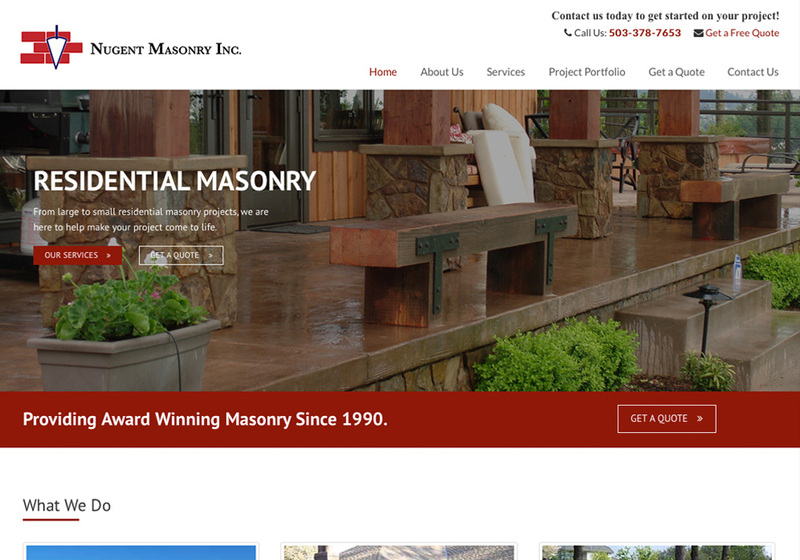 As with a lot of our clients, Nugent Masonry had a site that was created back in 2003 and hadn’t changed it since. 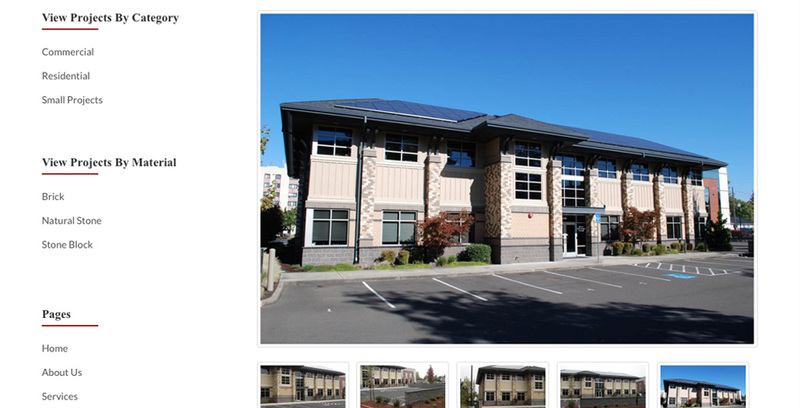 So when they contact us, we knew that not only could we bring their website up to modern standards but we could also market their services and portfolio with custom post types. 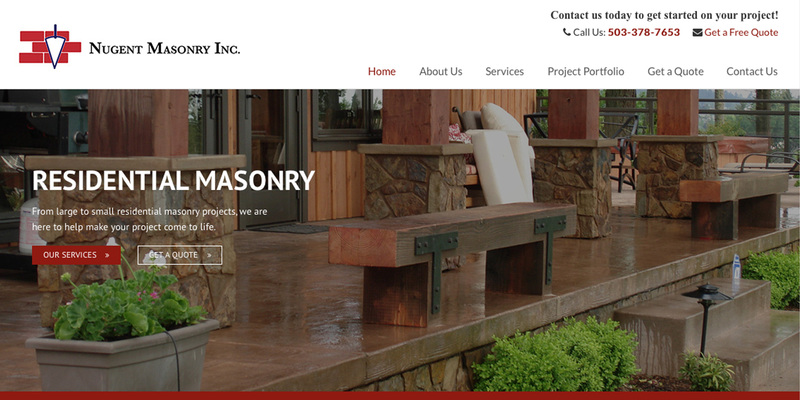 Nugent Masonry came to us without a logo. The had one printed years ago on their trucks but didn’t have the files. So, with a picture from their iPhone, we were able to replicate the essence of the logo while creating a new logo for their website and marketing materials. 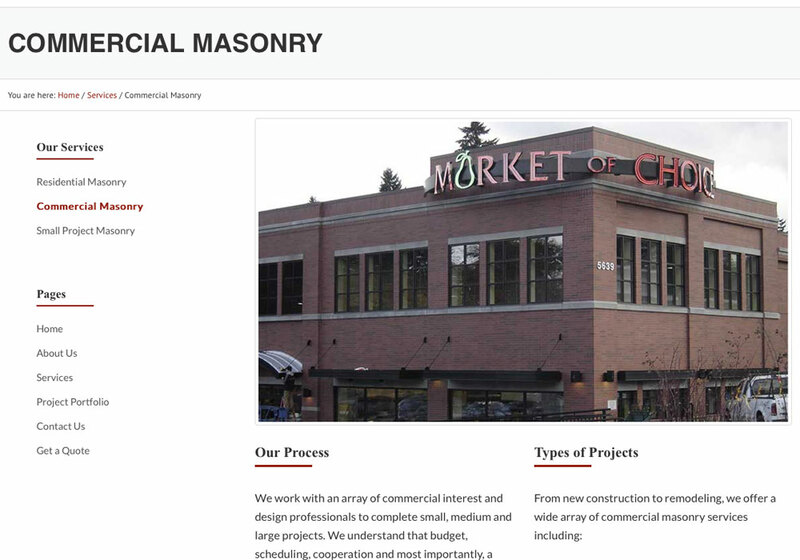 Nugent Masonry needed a way to highlight all of their projects and show potential customers what they can do. So we took that idea and created a portfolio that also places recent projects on their respective services pages to add a dynamic element to the otherwise static pages. 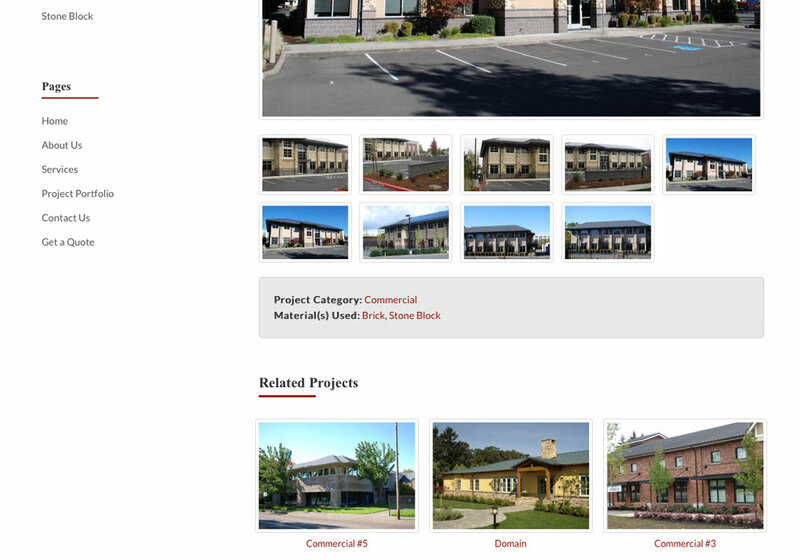 To keep the site updated, Nugent Masonry wanted an easy way to create new projects for their portfolio. 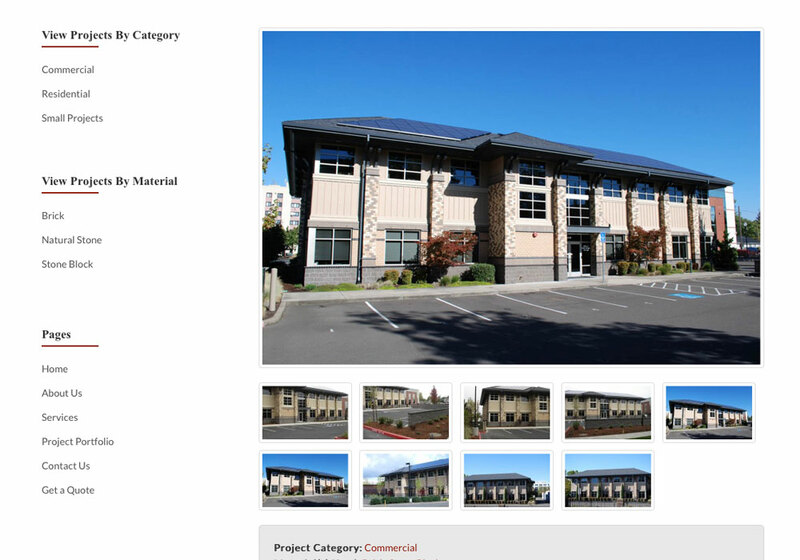 What we did is create a custom administration back-end so that they can upload pictures and fill out a few text areas and the website will take care of all the formatting to keep with the existing design and also allowing them to update their own site.